Some places are unforgettable, like the tree you first kissed under or the cafe where you went on your first date. 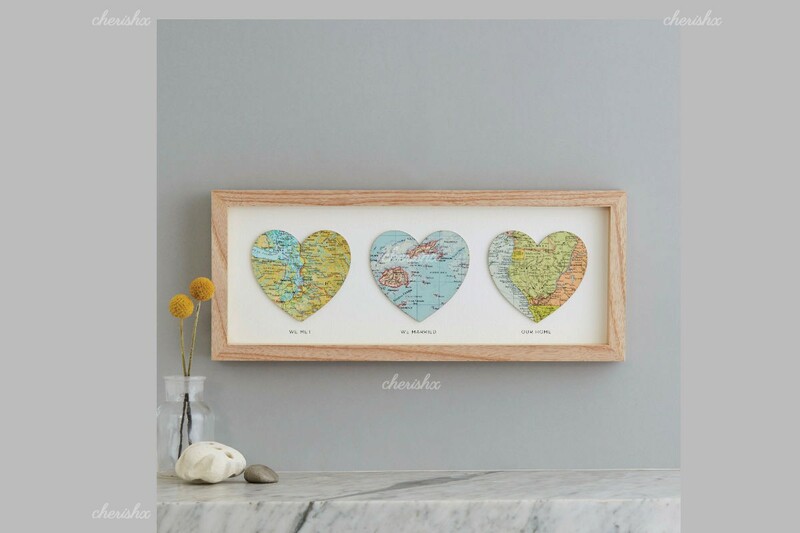 What could be a better gift to show someone you love them and remember all of the important places and dates in your relationship then this location frame. 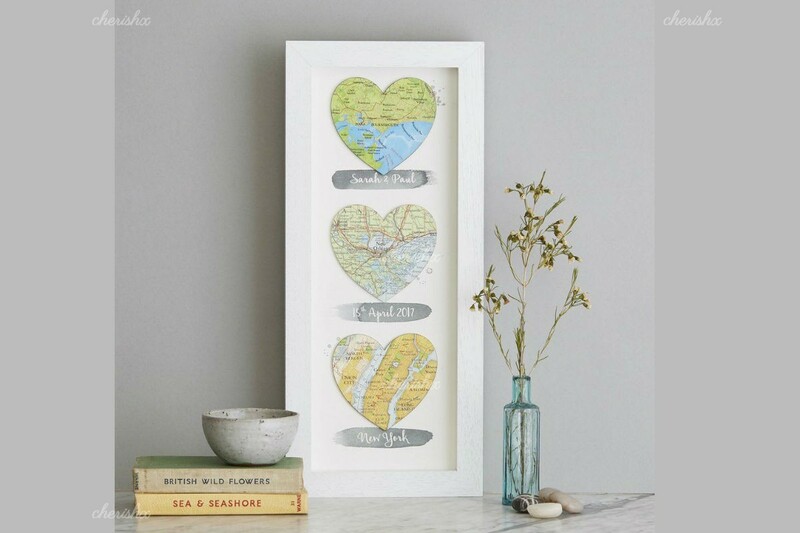 A beautiful frame with your cherished map locations (our first date, our first kiss, hitched, first time i saw you, we married, one year later, school, graduation) make this a perfect gift. Get creative with your titles and locations. You can take anyone down the memory lane with your cherished locations. 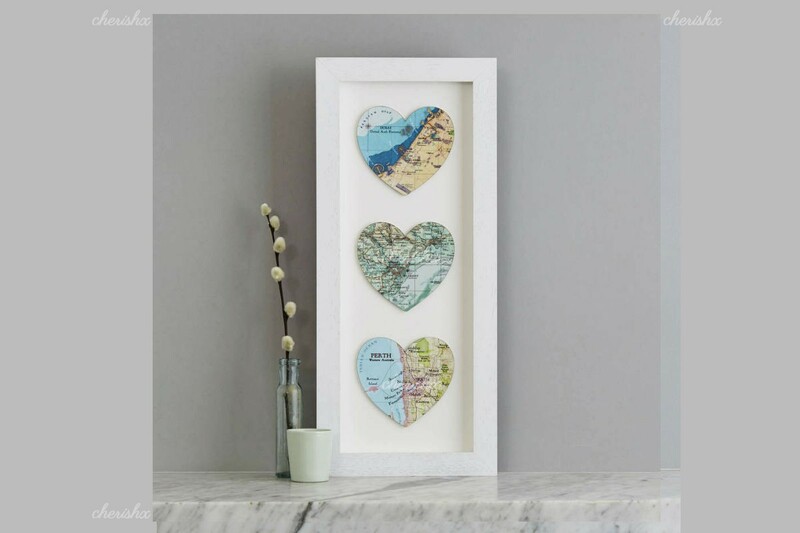 Choose from three options: a frame with 1 map location, 2 map locations or 3 map locations. 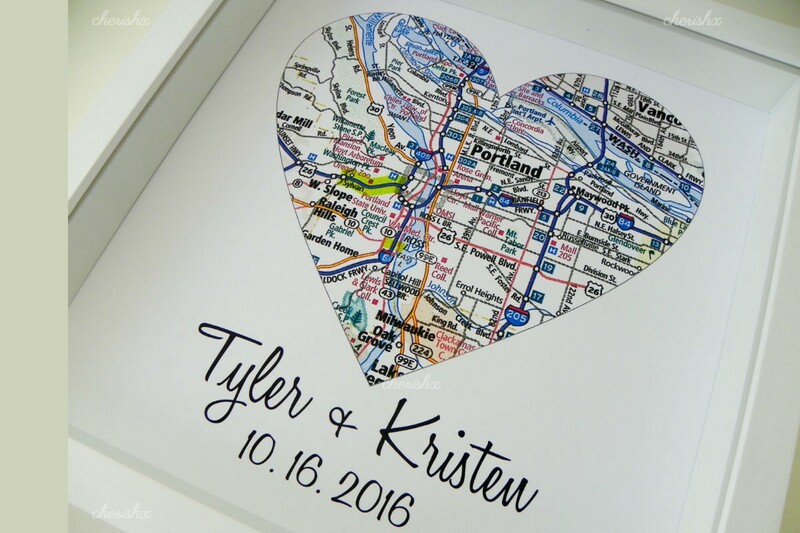 Once you have made the booking you can fill the exact locations, our team will turn those into maps. A rough draft will be shared with you before finalizing it. 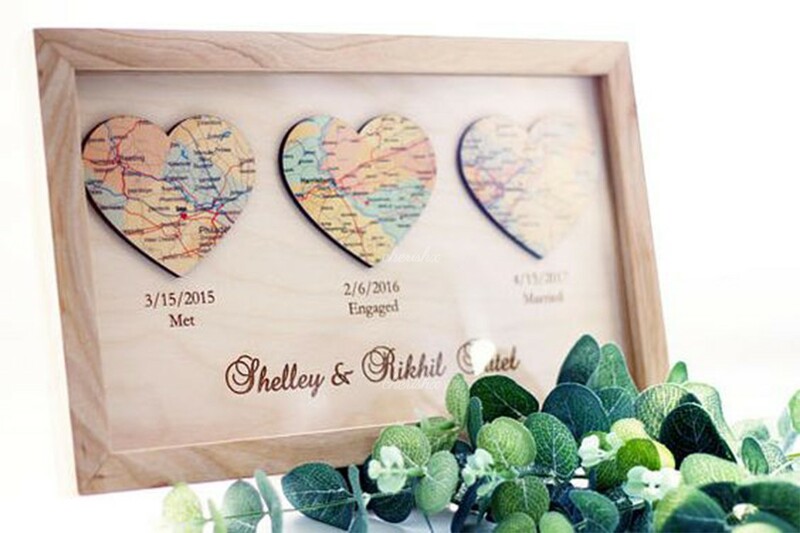 Once confirmed your frame will be delivered to your selected location at your selected time.